We know surprisingly little about our oceans. To help with this glaring blind spot, the XPrize has announced a new $7 million contest to foster innovations in ocean exploration technology. Called the Shell Ocean Discovery XPrize—yup, it’s co-sponsored by Shell—the contest will require competing teams to complete their ocean-scanning tasks in just three years. Breakthroughs in this underdeveloped area could lead to advances in robotic autonomy (which could be leveraged in space exploration), undersea scanning, resource scouting—and even the discovery of sunken ships and new sea creatures (including new microorganisms that could be used to better understand and treat diseases). 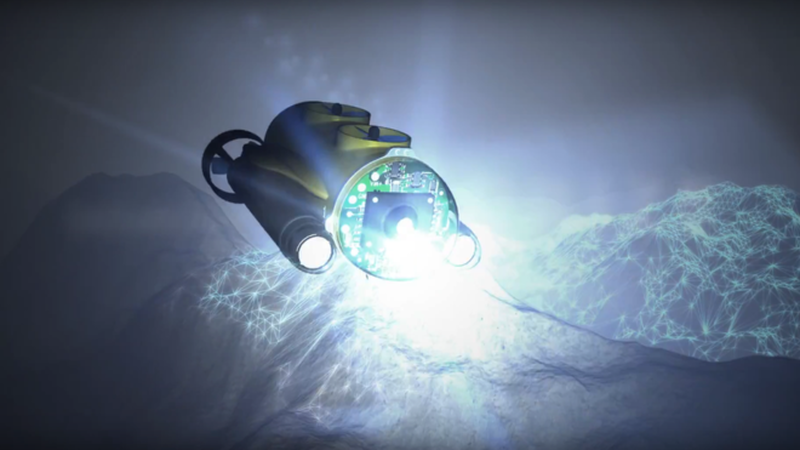 As part of the contest, entrants will be expected to map a 2.5-mile-deep (4 km), 193 square-mile (500 km2) area of seafloor using autonomous robots. And when they say autonomous, they mean it; all probes will have to be deployed from the land or air, and teams will not be allowed anywhere near the survey area. This means no cables, no wireless transmissions, nothing. The robots will have to be completely self-reliant. Included in the $7 million prize is a National Oceanographic and Atmospheric Administration (NOAA) $1 million bonus prize, which will encourage teams to develop technologies that detect the source of chemical and biological signals underwater. Scalability: Existing technologies cannot operate at the large scales needed to cover the ocean unless they make substantial compromises in mapping, resolution, power and weight of sensors. Cost: Today’s advanced autonomous technologies require vessels that can cost up to $60,000 per day and a capital investment of up to $1 million, which limits access to specific industries. Investment: Ocean discovery efforts are supported by a variety of government agencies, academic institutions, and the private sector, however, only a fraction of these investments are spent on exploring the deep ocean. Power: The size, weight, and sensor payload of a vehicle determines how long it can explore as well as the quality of data it gathers, which results in a tradeoff between power and expedition longevity. Engagement: The ocean plays an important role on our planet and in our everyday lives, yet so little is known by those not already involved in marine activities. For the first round, set to start in 2017, teams will be evaluated according to the quality of their technical specifications. The top 25 entrants will move on, and their projects will have to operate at a depth of 6,560 feet (2,000 meters). Teams will be required to make a bathymetric map of at least one-fifth of the 193 square-mile area in just six to eight hours. For round two, 10 finalists will operate at a depth of 13,120 feet (4,000 meters). During this final trial, the probes will have to map 50% an area of equal size, but they’ll have 12 to 15 hours to do it. The probes will also be tasked with collecting and returning hi-res images from the deep, including a target specified by the organizers. XPrize officials want an image resolution no less than 5 meters per pixel. A scientific advisory board consisting of experts in geophysics, oceanography, engineering, seafloor mapping, underwater vehicles, and ocean business will be recruited to assess the competitors. Email the author at george@gizmodo.com and follow him at @dvorsky. Top image by Xprize.